The SNOO is a unique soothing bassinet thanks to its smart features, but despite coming in with an impressive third place rank we don't like its EMF emissions and as a result, wouldn't recommend it to a friend. This bassinet claims to be a miracle worker when it comes to fussy or colicky babies and has helped many a desperate mother with its rocking motion and white noise. While this hefty bassinet is not one you'll be taking with you on weekend trips, or even moving from room to room often, we like the modern, stylish design, and feel it offers a high level of quality. However, this is the most expensive bassinet in the review, by far. It also emits EMF which is not found in any of the competition and is something we think parents should consider very seriously. If your newborn is super fussy or struggles to stay asleep, then the SNOO Smart Sleeper may be the ticket to getting consistent quality sleep if you can peacefully sleep knowing the EMF risks. The SNOO Smart Sleeper is an innovative bassinet designed by the author of the Happiest Baby On the Block Book, Dr. Harvey Karp and his wife, Nina Karp. it is based upon the principle of the Five S's and uses swaddling, swaying, and shushing (white noise) to soothe babies in this bassinet. Dr. Karp also offers a variety of DVDs and books designed to help parents better understand and navigate a newborn's (as well as toddler's) fussiness, sleep, and developmental issues. He is a well-loved and highly respected member of the pediatric community. The simple, modern design of the SNOO will go well with any home decor. The SNOO (seen in blue in the chart below) topped out as one of the leading bassinets in our testing, earning impressive metric scores which we'll review in more detail in the sections below. The SNOO Smart Sleeper earned a 5 of 10 in ease of use. While it can make your life easier thanks to the unique features it offers, it is definitely more involved than your average bassinet and may have more of a learning curve, in the beginning, particularly should you choose to use it with your smartphone. Below we delve into ease of use specifics of accessibility, portability/mobility, additional features, ease of setup, and cleaning. The SNOO has a very narrow profile, keeping it unobtrusive in the bedroom and also easy to fit through halls and doorways. The legs included with the SNOO are not adjustable, so the bassinet height cannot be changed to match the height of your mattress unless you purchase a different set of legs. The level of the baby sleep surface is a few inches lower than your average 25" bed, while the upper rail reaches a few inches higher. This design means you'll need to reach up and over the rail and then below waist level to get your baby without leaving your bed. If this sounds uncomfortable, that's because it probably is. So, while it is possible to reach the baby without getting out of bed, we think you'll find it easier to swing your legs over the bed edge to give the whole operation a bit more stability. The bassinet is nestled down deep in mesh walls. This may be better for keeping baby protected, but make it more difficult to reach your little one from bed. The SNOO is not very portable. At 35.1 lbs, it is the heaviest bassinet in this review, and it does not fold down or come apart for easier transportation. It is not very large, so it can easily fit through door frames and hallways, but the weight may deter you from moving it from room to room. The SNOO has only one on/off button and goes to work automatically when it "hears" your baby start to cry. This "Smart Sleeper" is built around the additional features it offers with the most extras by far of all the bassinets in this review. Perhaps the most notable is the soothing ability of the "wiggly" mattress. A microphone located in the base of the SNOO detects crying and then tells the motor to start working through four increasingly vigorous levels of rocking to soothe the baby, and the speaker system automatically chooses one of four levels of white noise. If your baby has not calmed down after three minutes, the SNOO shuts off, as the baby likely needs some human attention. If you prefer to adjust rocking speed and noise level on your own, you can do this through the app. The SNOO app also logs your baby's sleep and keeps track of things like day sleep, night sleep, total sleep, the longest stretch of sleep, and the number of times the baby woke up while in the SNOO. Stretchy fabric found on both sides of the swaddle slip over a plastic hook in the side of the bassinet. This keeps baby on their back and in the middle of the mattress at all times. Included with the bassinet are one fitted sheet and three swaddle sizes. The swaddles are created specifically for use with the SNOO with tabs that slide over a hook on either side of the bassinet and keep baby in the center of the mattress, always on their back. The SNOO will not function with swaying and shushing unless the swaddle is clipped into the hook. We recommend purchasing an additional sack in each size for cleaning purposes in the event of leaking accidents or spit up. The setup process for the SNOO is one of the easiest in the group. Straight out of the box, the bassinet calls for minimal assembly and zero toolage. The initial setup involves very few steps, of snapping in the legs and hand tightening the bolts that keep it sturdy. The only possible mix up that we foresee is inserting the legs backward. This mistake doesn't affect the functionality of the bassinet, but it looks strange. After assembly, you only need to plug it in and secure the sleep sack for day-to-day use. The included swaddles attach to the sides of the bassinet to ensure that baby doesn't roll and stays in the center of the cradle. Both the sheets and sleep sacks that are included with the SNOO are machine-washable. Other items in the sleeping area, such as the mattress, mesh sides, and base, can be wiped or spot cleaned with a damp cloth and mild detergent when necessary. The base beneath the mattress is hard plastic and is easy to wipe down, but you may have a bit more trouble with the mesh sidewalls should they become soiled. The mesh sides of the SNOO are both breathable yet sturdy and well fitted to the frame. The SNOO tied with the babybay Bedside Sleeper for a perfect score of 10 for breathability. The sidewalls are breathable double layered mesh fabric that allows for good airflow all the way around the bassinet. Thanks to the clip-in swaddle, the baby is held securely in place, eliminating the chance of a baby rolling or wriggling themselves up against the side. The sleep surface adheres to the ASTM standard that requires bassinet mattresses to be 1" thick or less. We were pleased with the SNOO's sleep surface, earning a 9 of 10 in this metric. The mattress is very stable and fits well in the bassinet. It shifts slightly from top to bottom, but there wasn't enough room for us to squeeze more than one finger between the mattress and the side mesh. It is not attached to the base in any way, but when the baby is clipped in with the sleep sack, it should stay in place well. We found the surface to be the third most firm of the group, being surpassed only by the UPPAbaby Bassinet and Stand and the HALO Bassinest Essentia. Our one issue with the SNOO's bassinet mattress is that it is composed of polyurethane, which at this high price point, we'd love to see a lower VOC type material used such as polyethylene. Perhaps in SNOO V2? The SNOO earned a 9 of 10 for quality, coming in second in the group along with the HALO Bassinest Essentia. The babybay was the only better scorer, and for a bassinet in this price range, we would expect no less. The four legs come out from the bassinet and have rubberized foot pads that make it extremely stable. The low center of gravity and heavy weight of the SNOO also help to eliminate the risk of tipping. All odds and ends are tucked away for a simple and stylish, mid-century modern look, and there are no sharp edges, pinch risks, small parts, or a mattress gap to cause worry. The fabric and mesh are snug and fitted, and the other materials have a smooth assembly for a great fit and finish. The mattress adheres to ASTM standards and is still comfortable enough for baby. The angled legs and rubberized feet ensure there is no risk of slipping or tipping with the Smart Sleeper. This is a well-build bassinet that should last through multiple children. We think of it more as a long-term investment should you desire to welcome further babes into your family in the years to come. With a 5 of 10 for eco-health, the SNOO earned a score that is just above average for the group. It is clear that on the Happiest Baby website, sleep safety is the top priority, but there is little information on the eco-health of the Smart Sleeper. After some digging around, we found that the bassinet is JPMA certified, both the sheets and the swaddles are GOTS certified organic materials, and it contains no detectable levels of fire retardant chemicals. However, it does have a polyurethane foam mattress just like every one of the bassinets in this review which aren't ideal for developing babies due to off-gassing VOCs. We feel that at this high price point, a more inert material should be used such as polyethylene to limit this potential risk. The crib mattress market is already beginning to swing away from polyurethane and we'd like to see materials in the bassinet and travel crib market do the same. We realize that with a much lower width of 1" to contend with that this is a different matter to consider from crib mattresses, however, our opinion that this is the correct direction in which to lead. Our measurements of EMF levels in the SNOO, at the approximate position of the baby's head, were much higher than ambient EMF levels, and high enough to leave us concerned about the level of sustained EMF exposure for an infant. We feel parents should seriously consider EMF exposure before purchasing the SNOO. Unlike any other bassinet, this unit uses WiFi technology to talk with your smartphone or tablet to set up or modify how the SNOO operates. As a result, it emits EMF which your baby is then exposed to. Some studies indicate that exposure to EMF (prolonged or continuous) can potentially cause long-term health problems down the road. During testing, we got readings of 4.4 V/m on average next to the power button. When using the meter inside the bassinet where the baby will sleep, levels are somewhat lower with an average reading of 2.35 V/m. This slightly lower reading is likely a result of the manufacturer design that has a shield plate between the baby and the EMF source; indicating SNOO manufacturers are also aware of the EMF issue. But, our feeling is that the EMF shielding on the SNOO is insufficient. The level of EMF we measured is almost as concerning as we measured on some of the wearable movement monitors. If you are trying to limit your baby's EMF exposure (which we think parents should do), we consider the SNOO is a product to avoid. 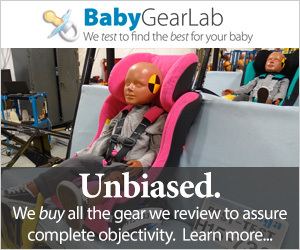 The EMF levels give us pause and make the SNOO a bassinet we wouldn't feel comfortable recommending to a friend. Because your baby can sleep in almost any other product without the risk of EMF exposure, it is hard for us to say we feel comfortable with newborns being exposed to EMF when they don't need to be. We measured EMF levels 3.5x higher EMF than ambient at the approximate position of the baby's head. This is about the same as a Fitbit's EMF level, and about 20% of an iPhone's EMF if placed next to the baby's head. We would love this product if there was a way to use it without EMF involvement like a simple on/off switch for the WiFi radio. Why has Dr. Karp allowed his otherwise compelling product to use a design that forces parents to accept exposing their baby to significant levels of EMF? We feel this is a product design failure and we hope this is something Dr. Karp and the folks at Happiest Baby will address in future versions so parents concerned with EMF have the option to soothe their baby using the SNOO. Disabling WiFi on the SNOO? The manufacturer has let us know of an obscure post buried in the Troubleshooting of their website that provides a cryptic overview of how to disable WiFi on the SNOO. The instructions are rather hard to find (they are not included in the User Guide) and recommend you do not disable WiFi. The company states the "full benefits of SNOO" are not available without WiFi, and it is unclear whether the SNOO is really useable without WiFi. We've asked the company to replace these cryptic instructions with more clear and professionally written instructions on the functionality available, and if the SNOO does work without WiFi, to explain how to most effectively use the product with WiFi disabled. SNOO Organic Cotton Fitted Sheet - An extra fitted sheet to use in case of spit-up messes or diaper blowouts. SNOO Sack - A set of three comes with the bassinet, but you will likely want a backup for each size so you can keep them clean. SNOO Leg Lifters - These come in a set of two and are meant to slightly elevate the head of the bassinet to a safe incline to help the baby breathe easier and possibly help with reflux. SNOO Shorty Legs - These are a shorter version of the legs that come with the SNOO. They lower the bassinet to 10" above the ground and are intended for use when the SNOO is next to a platform bed.